Fisher IT Asset Consulting (FIAC) are part of HW Fisher & Company, a top 30 UK professional services firm founded in 1933. Collaboratively, their team of 20 contract and licensing experts deliver Software Asset Management (SAM) and IT Asset Management (ITAM) services to organisations across all industries globally. Original People were contracted to revamp the existing outdated digital presence, and create a platform that could grow as rapidly as the division. Operating in a niche market with strong competition from industry giants, requires FIAC to distinguish themselves on a global basis. 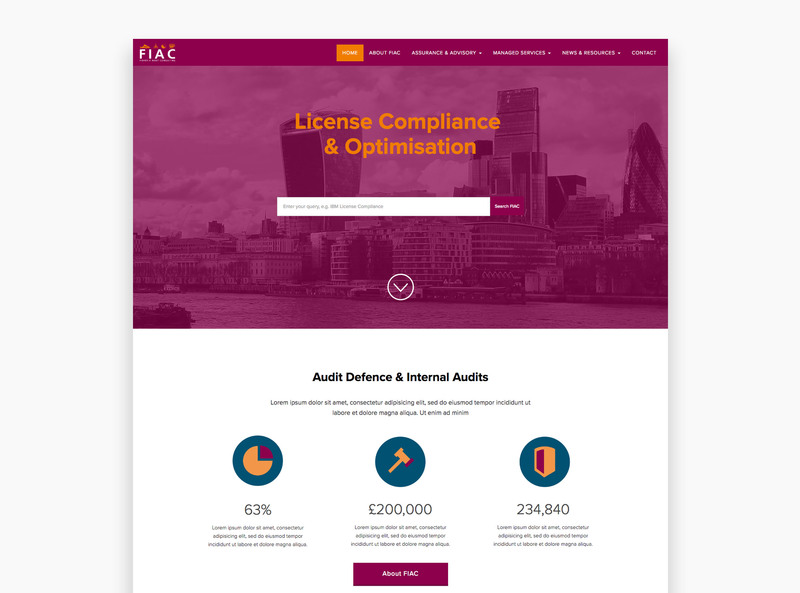 FIAC cater to two separate sets of clientele - those seeking defence whilst under investigation from over using software licenses, and those seeking to save money by discovering where superfluous software licenses under utilisation is taking place. 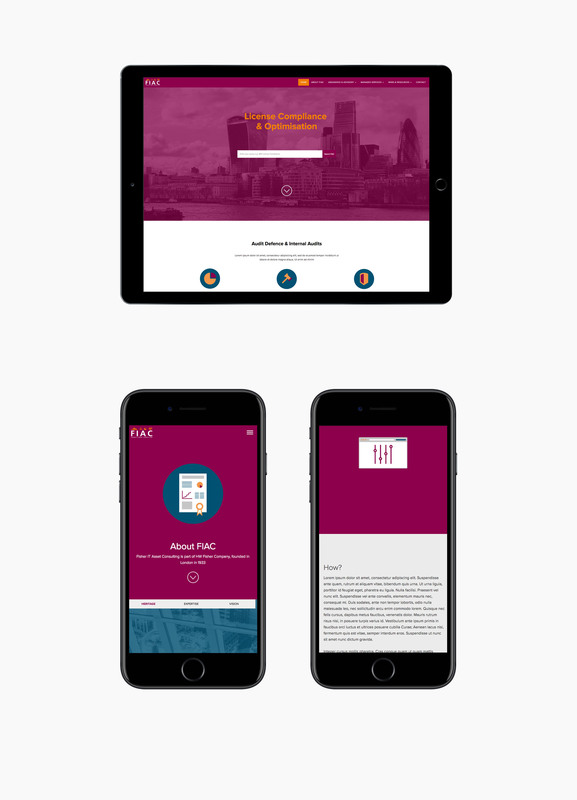 These service offerings resulted in a strong requirement to build a platform that caters to both use cases, whilst maintaining a contemporary aesthetic experience. We developed a platform that promoted simplicity in an industry where the lines are sometimes blurred or misunderstood. By undertaking extensive wireframe iterations and developing multiple variations of user interface designs, we were able to identify the key areas and pathways that were essential to the user's journey. These pathways were complemented through a library of flat UI vector based graphic assets that assisted in delivering a modern user experience. Realising the benefits of tailoring a content management system such as WordPress, exactly to the requirements of our clients, requires in-depth analysis into establishing the needs along with promoting efficiency and flexibility for future growth. 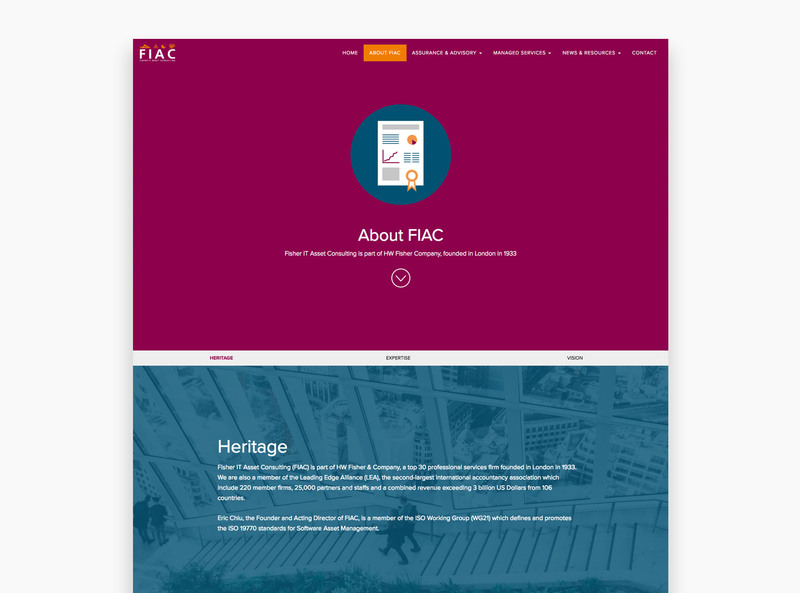 Producing a tailor-made backend architecture for FIAC, has facilitated a strong sense of simplicity in content manipulation, content diversity, and growth. 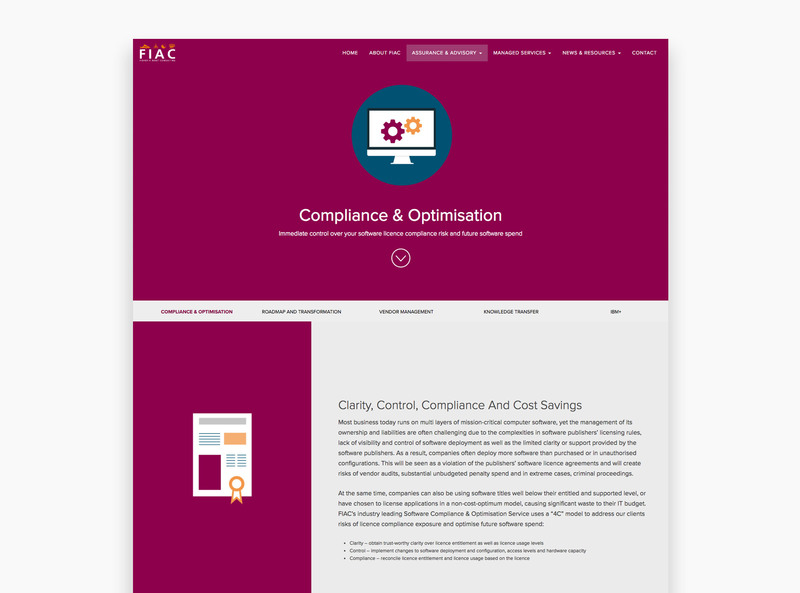 The end product accomplished and recognised the goals that FIAC had set out to achieve, in developing their digital presence. Dealing with clients such as the BBC, TFL, Morrisons, Heathrow and ING - meant that they needed to be able to demonstrate and exhibit their unique services, whilst maintaining and igniting client relationships. This is something that their new architecture now fully caters for.